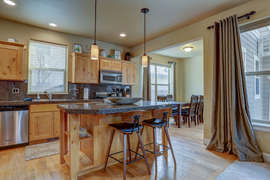 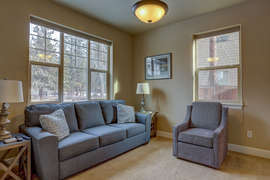 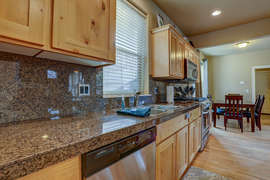 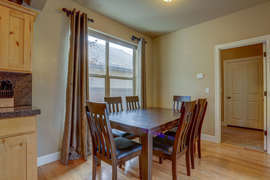 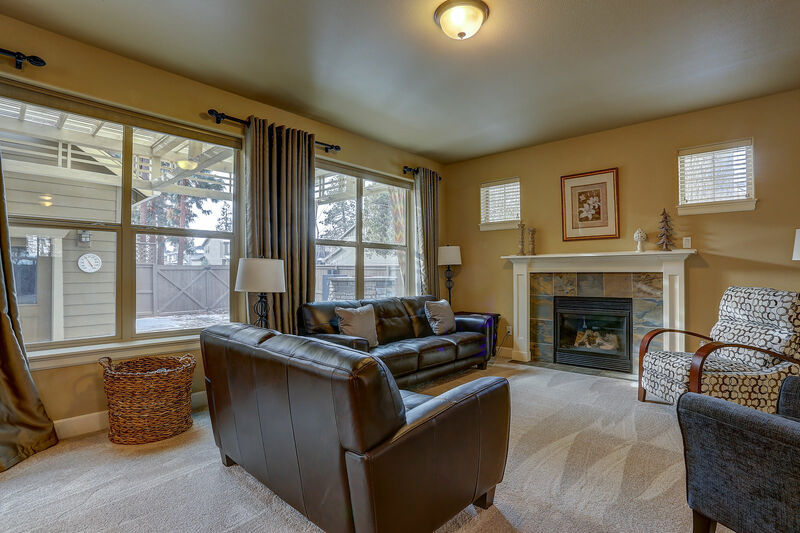 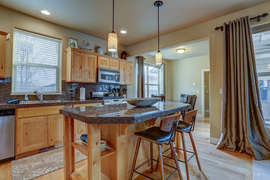 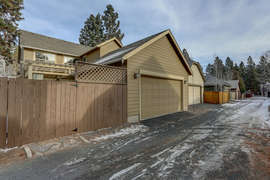 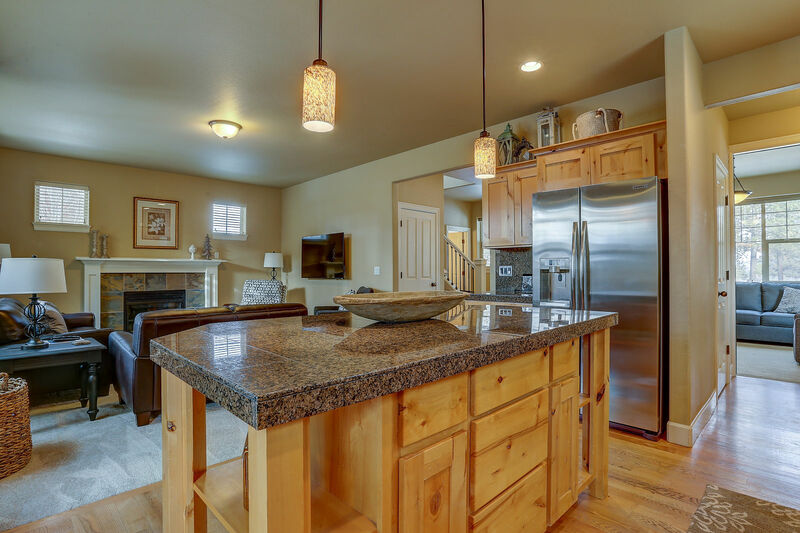 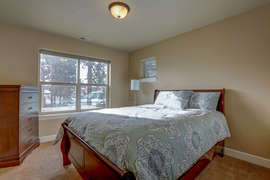 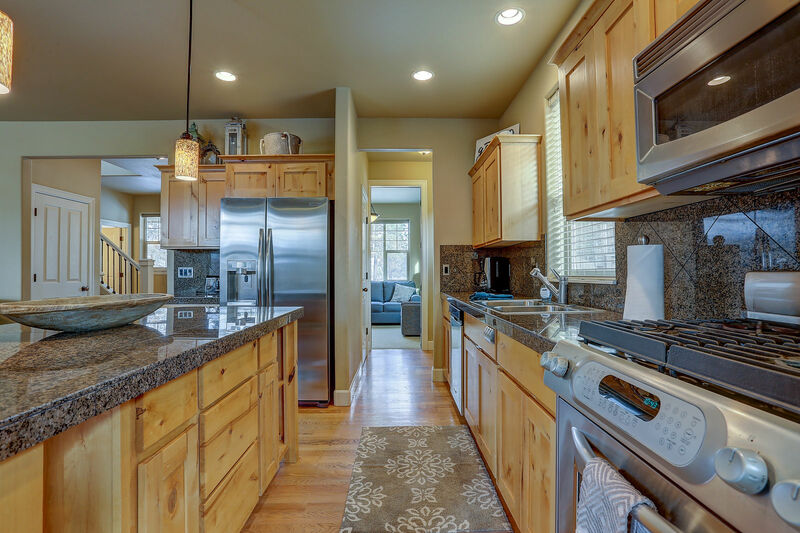 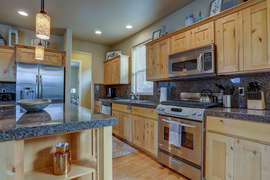 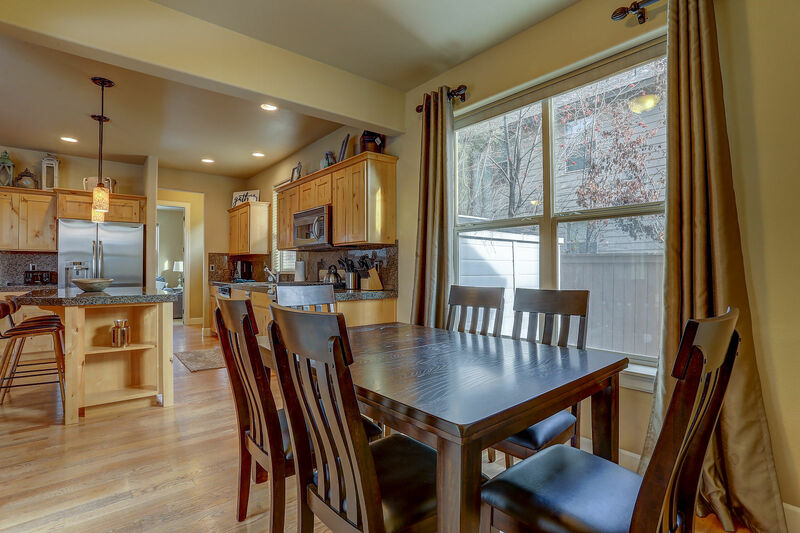 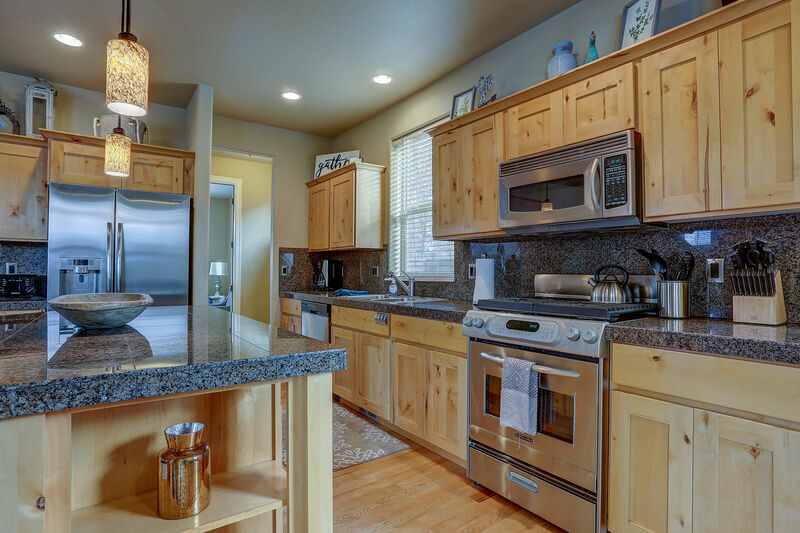 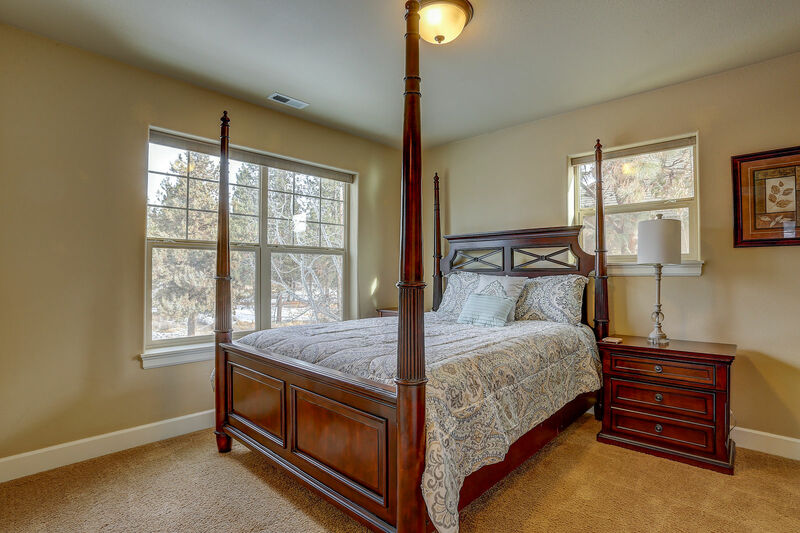 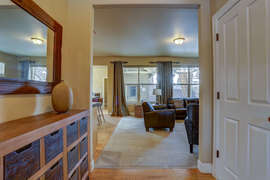 Some of Bend's finest attributes brought to you in this beautiful home available for long term rent. 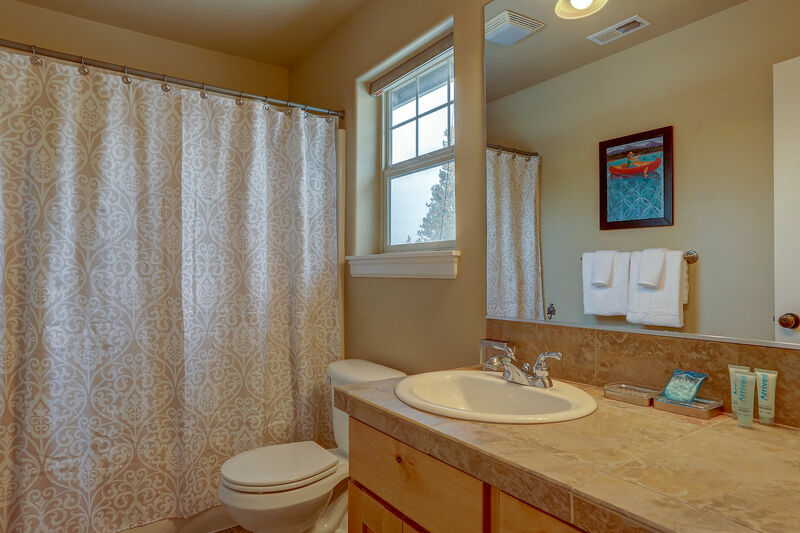 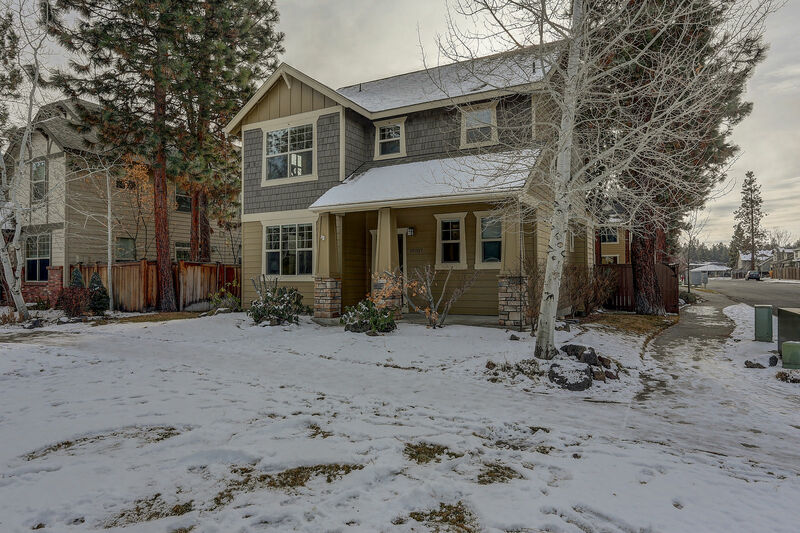 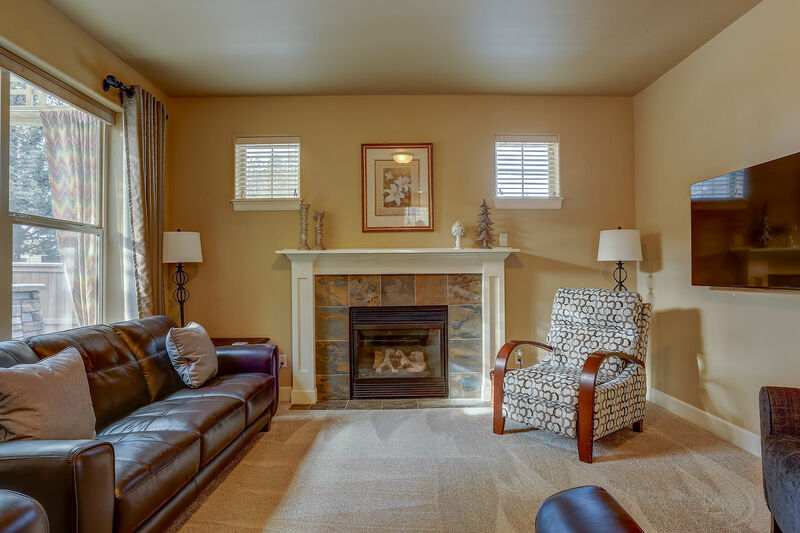 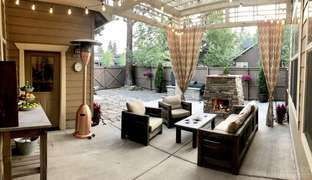 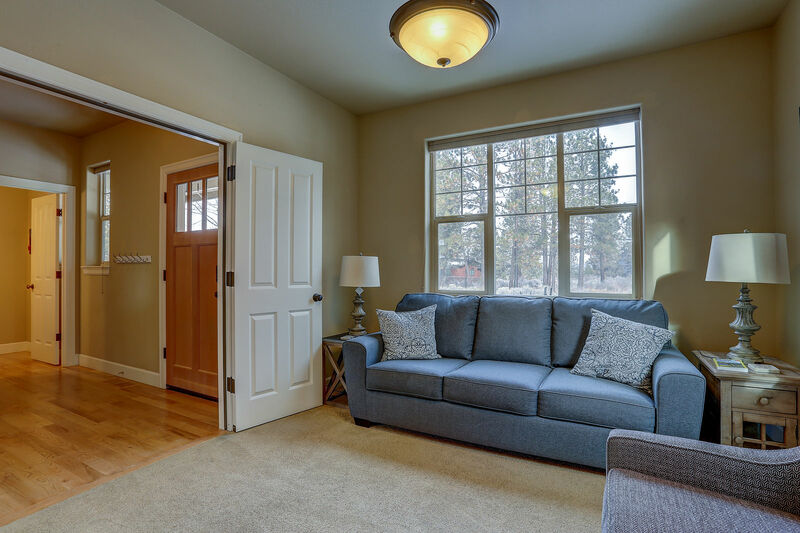 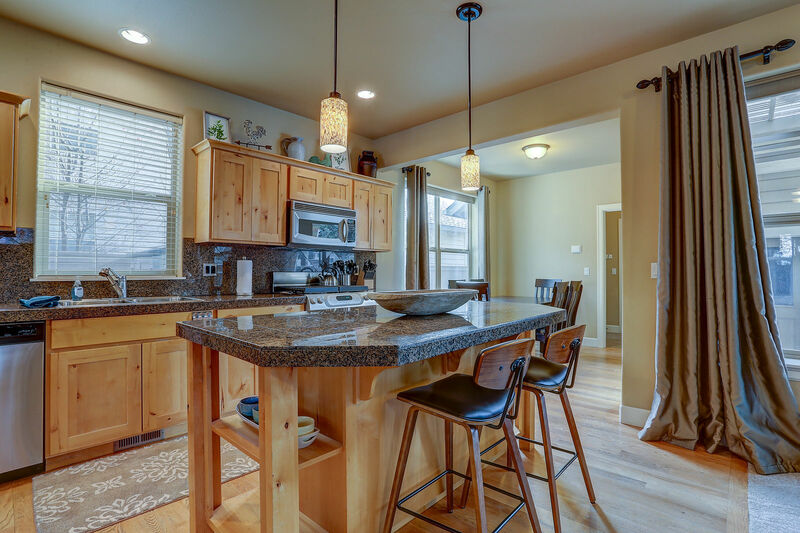 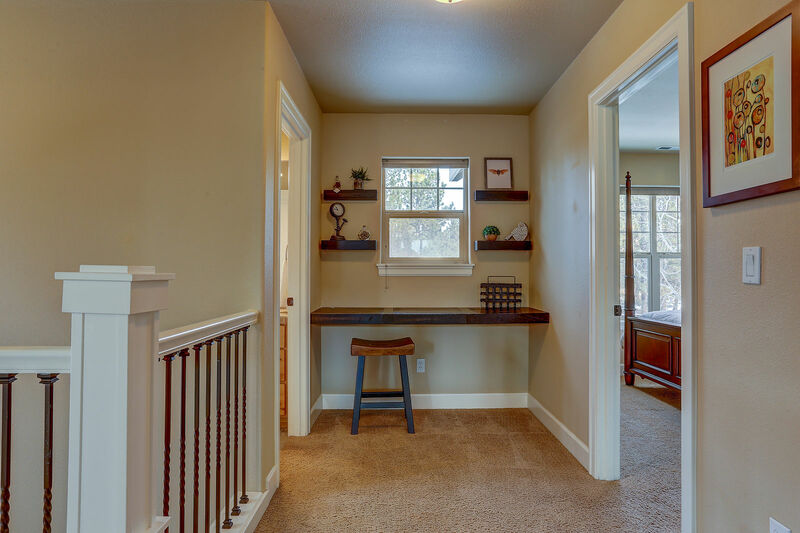 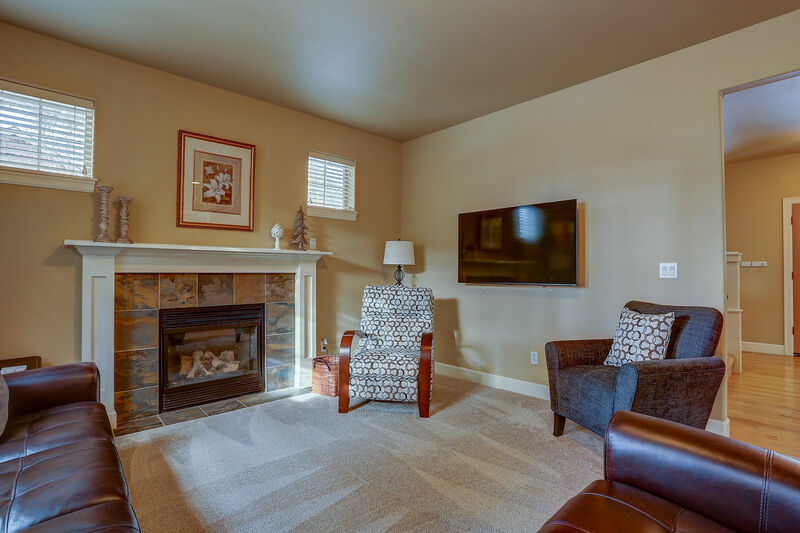 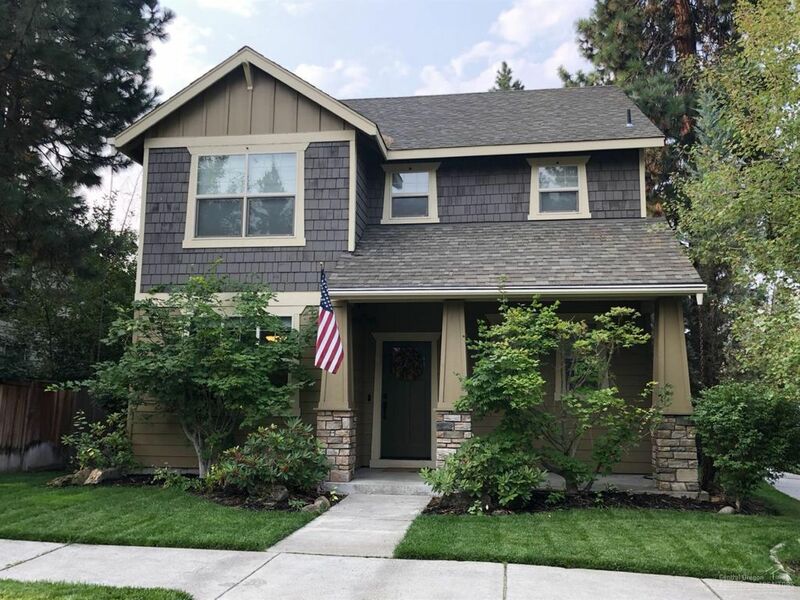 Listen to the Deschutes river from your front porch, enjoy mountain views as you come down the stair case, and lounge in your spacious backyard with a beautiful outdoor fireplace. Welcome to Bend! 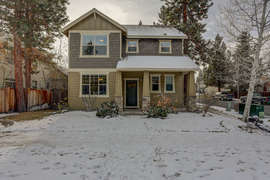 This lovely home is situated super close to the Deschutes River Trail and Pine Ridge Elem School. 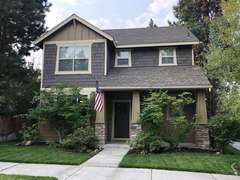 You will feel right at home in this family neighborhood with the gorgeous hardwood floors, granite tile countertops, spacious island, stainless steel appliances, walk-in pantry, A/C and home office area. 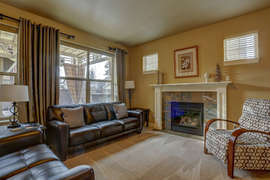 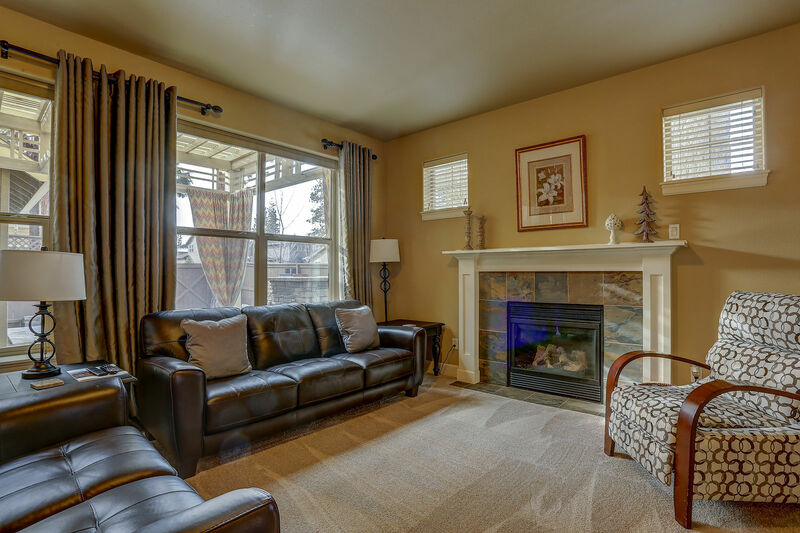 Family Room is warm and bright with large windows and a gas fireplace. You will never want to leave the backyard when you are sitting around the stone gas fireplace and deluxe BBQ setup. 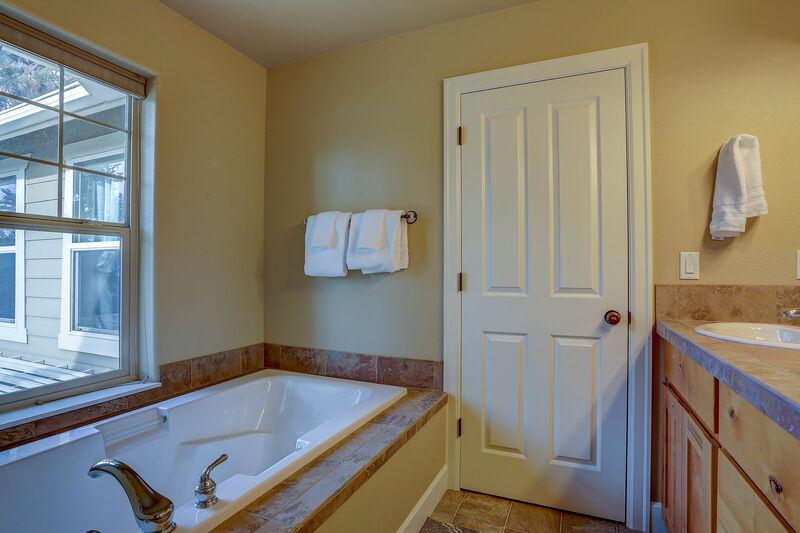 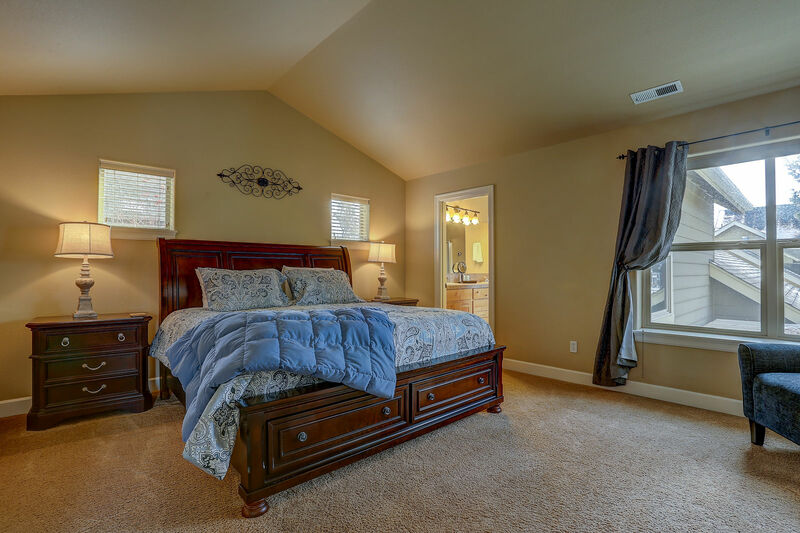 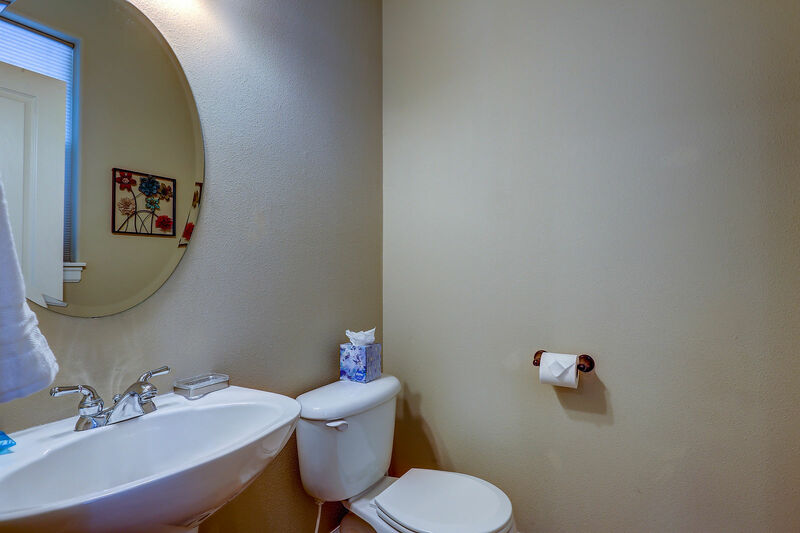 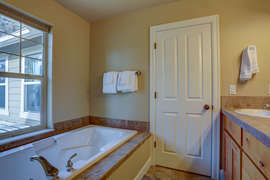 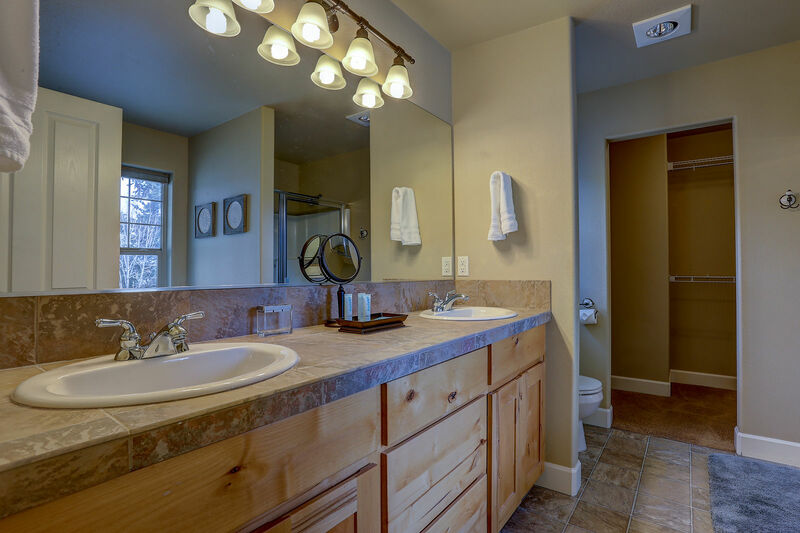 Master Suite has private bath, soaking tub, shower and walk-in closet. 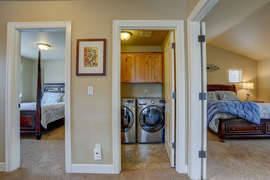 Laundry room is conveniently located upstairs. 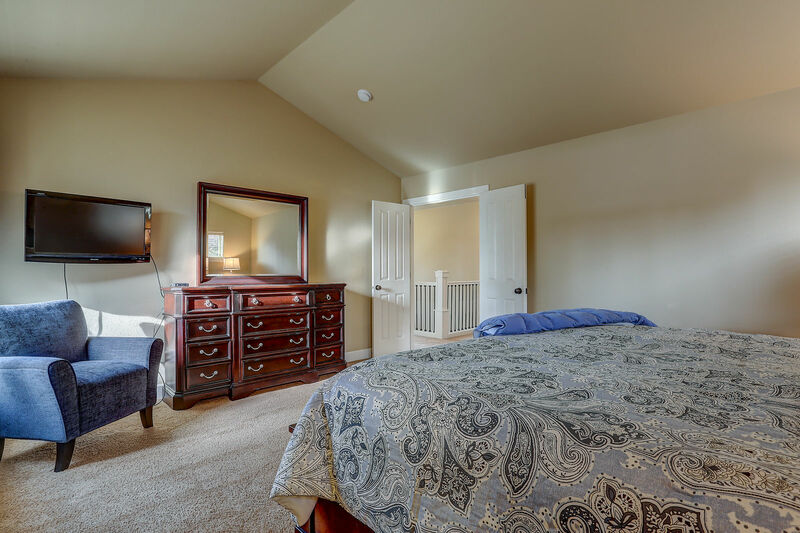 If you are looking for a long term rental in the Bend area that has all the comforts of home and more, Hollygrape Escape is the way to go!